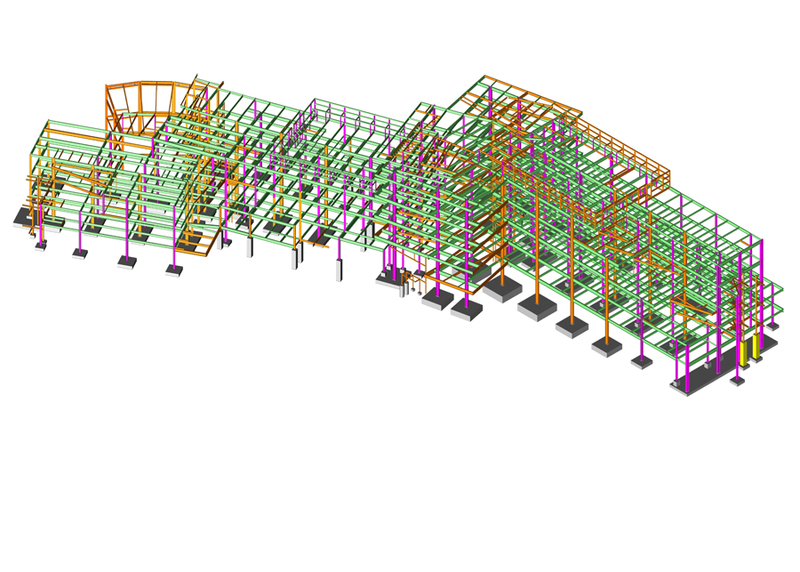 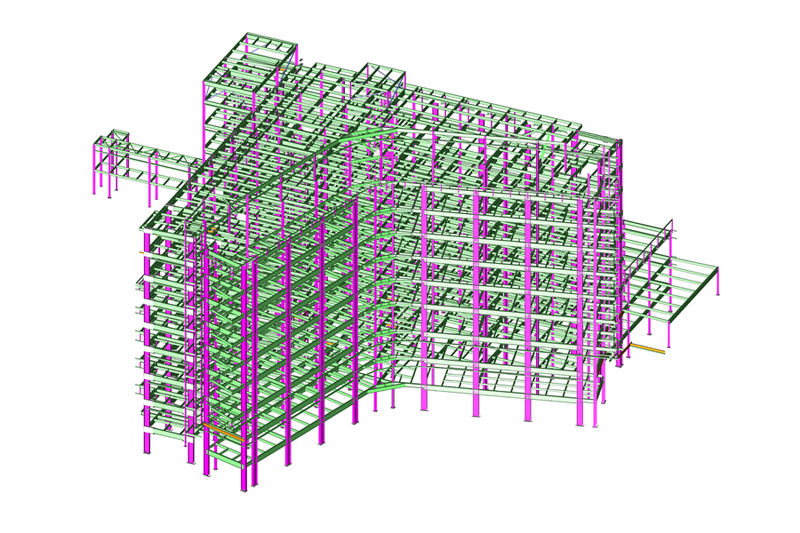 3D Building Information Modeling (BIM) is quickly, if not already, becoming the formal procedure for modern day steel construction. 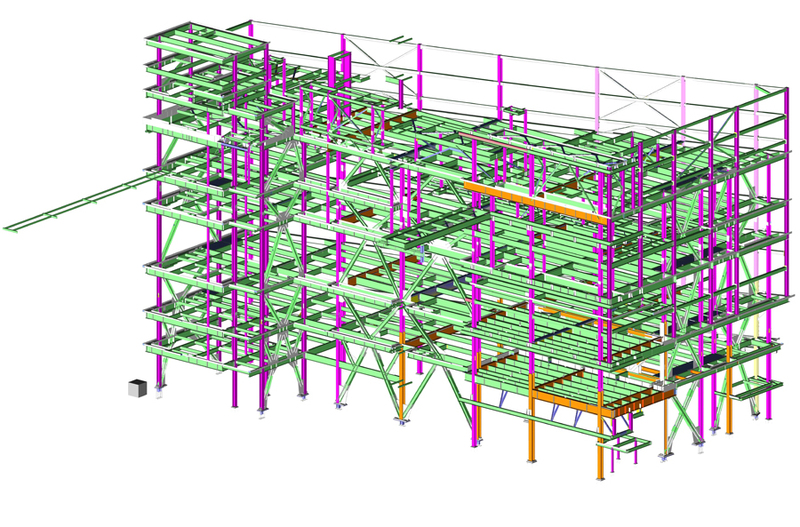 The concept of BIM was developed in the 1970’s and is defined as the digital representation of physical and functional characteristics of a facility. 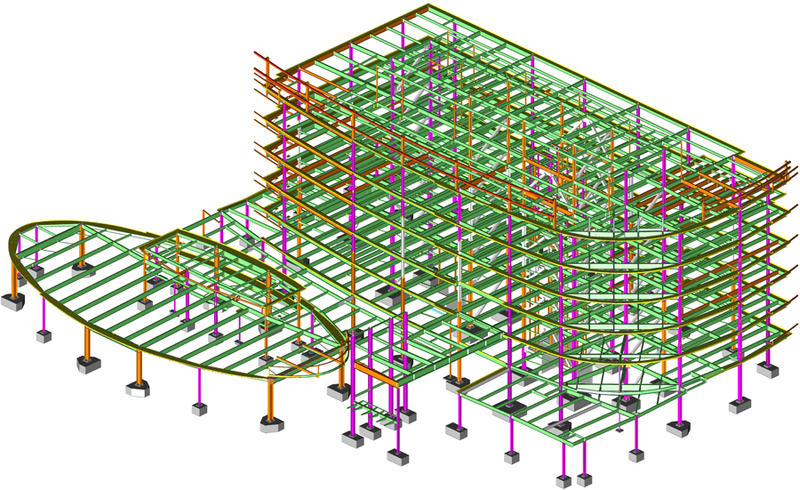 Efficient coordination between all disciplines and utilization of virtual modeling software is essential for its proper implementation. 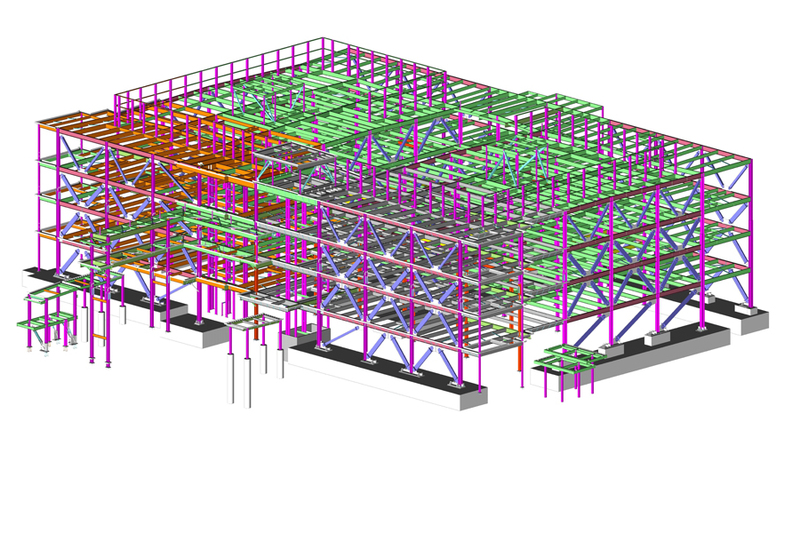 The purpose of BIM is to allow a shared knowledge resource for information about a facility, forming a reliable basis for decisions during its life-cycle. 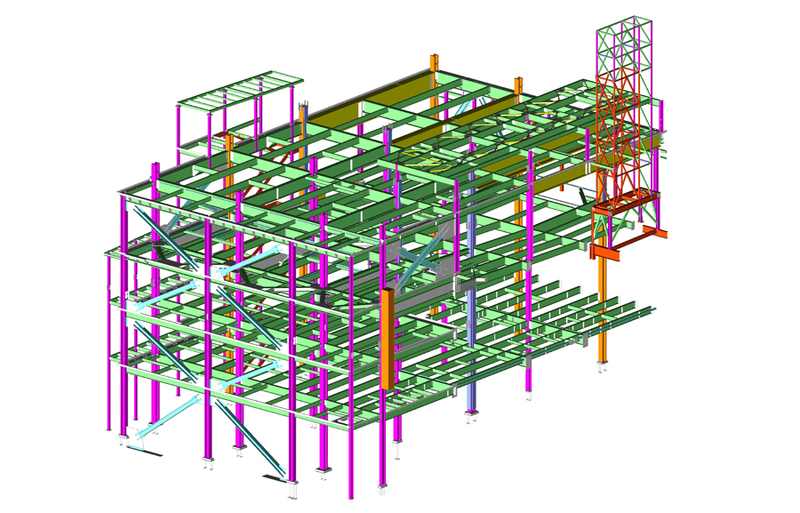 Other supporting processes of BIM include cost management, construction management, project management, and facility operations. 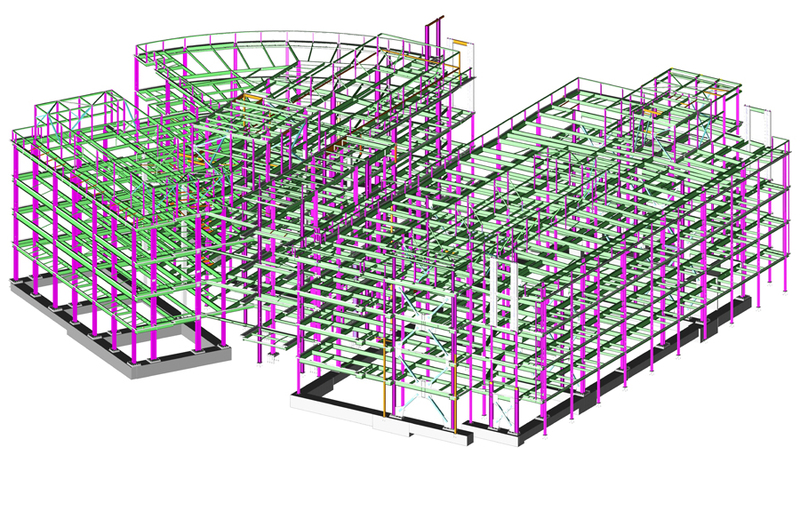 The beginning process of BIM starts from the earliest conception of a project and extends until construction completion. 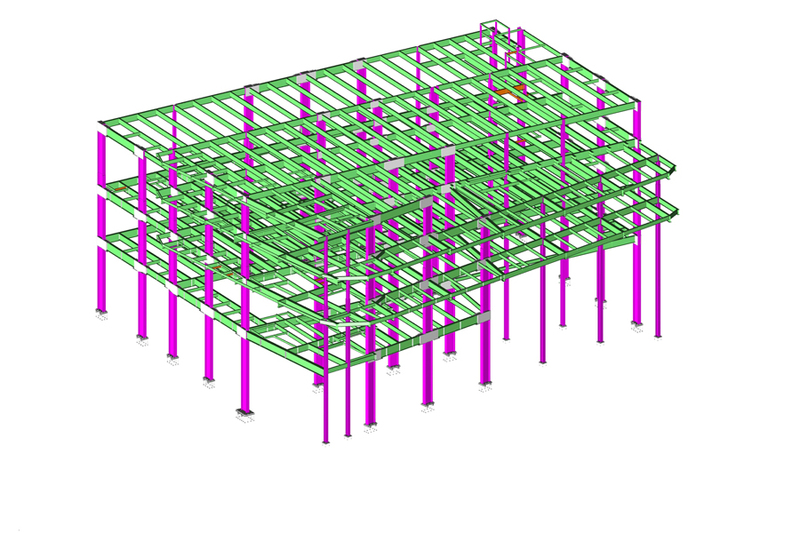 The significant discipline’s (architectural, structural and MEP) digitally modeled designs should be accurately interpreted from project design documents and well coordinated amongst each other so that they avoid instances where two objects occupy the same space. 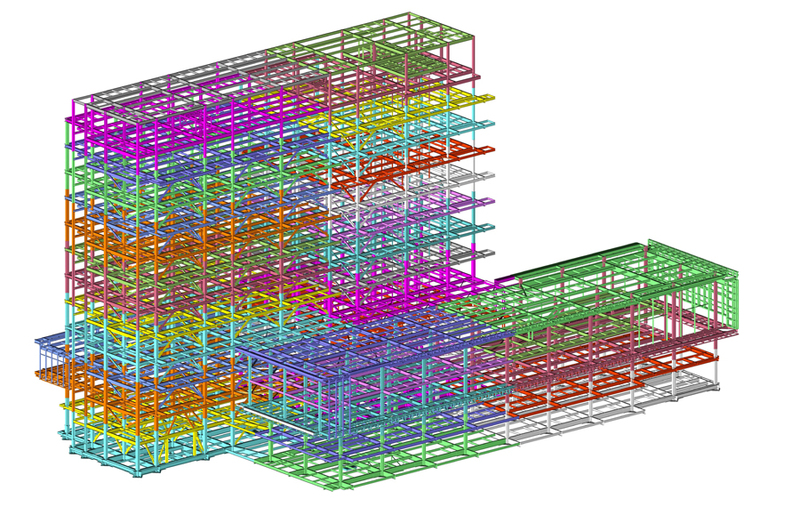 A software program of choice is used as an interoperable platform, allowing for synchronization of each discipline’s 3D virtual model. 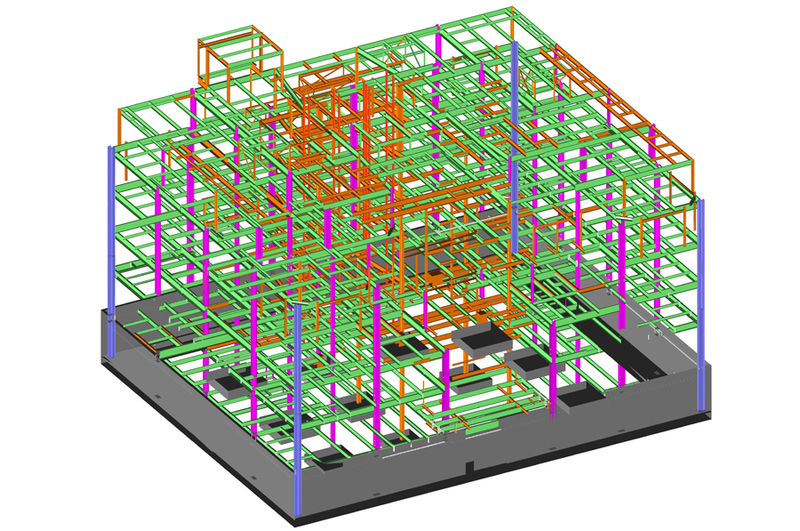 Once synchronization is complete, the models primary purpose takes its shape by allowing the user to perform all necessary analysis, collision detection, visualization, aid in design, improvements for erection safety, reduction of uncertainty during construction process, strategizing and solving problems prior to construction. 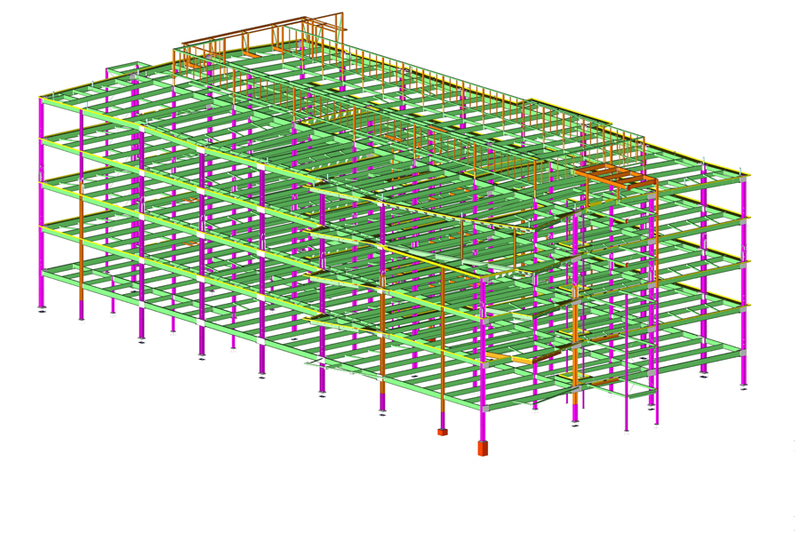 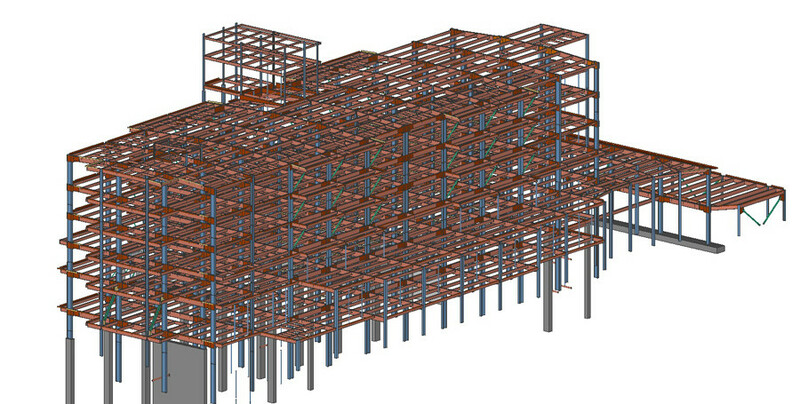 Utilizing BIM’s advantages is paramount to all entities involved in the steel construction industry. 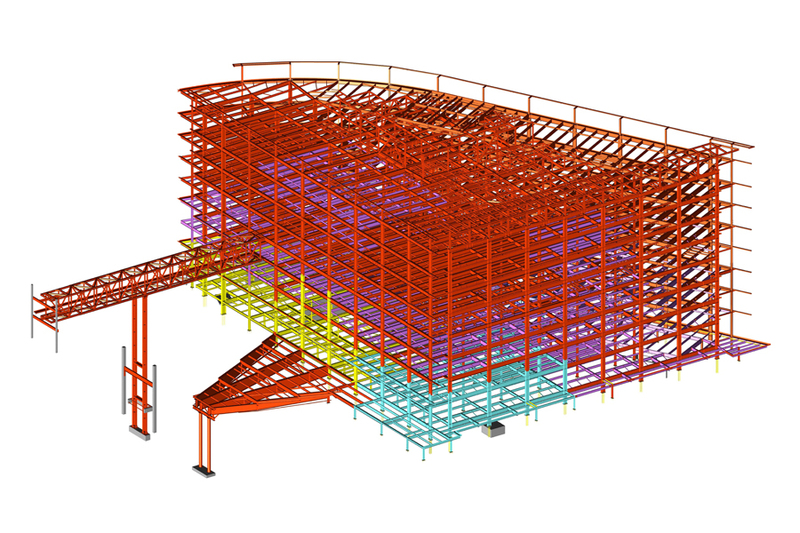 When performed accordingly, it saves incremental time and money on every project by minimizing the occurrences of negative impacts in the field, resulting in the delivery of a financially lean and efficiently performed steel construction process to the project owner. 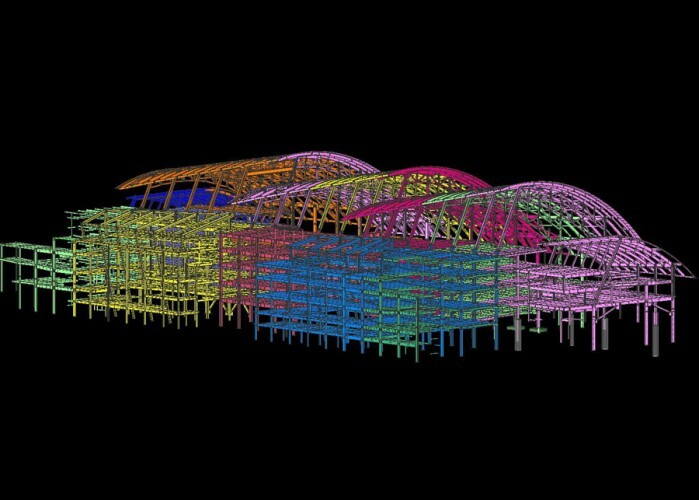 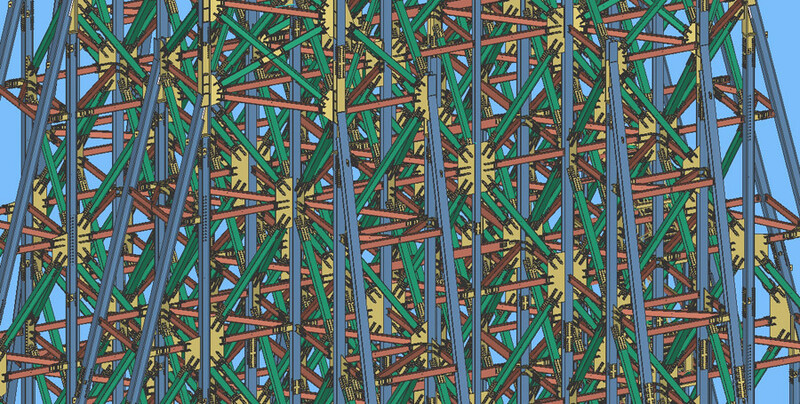 Ultimately, the future of steel construction depends on its adaption to BIM, so to sway owners to choose to design their projects with steel rather than concrete — a vigorous competition that has been on-going for decades.